“Oh.” They do not move. The lottery that I won at 6:37 p.m. on November 18, 1968, was not the product of any hard work on my part. It was not a reward for playing fairly or for especially clean living, nor was it awarded to me for playing by the rules and earning my way. It was a scratch-off ticket, generated at random, and someone else could have gotten it just as easily as I did. Like the service at a lottery counter in a gas station, life is a first-come, first-served proposition. It was a scratch-off, and, my gosh, did I win a nice jackpot. If reincarnation existed, one could say that someone else may have deserved this life more than I did or do, and one could certainly argue that someone else might have done a better job with it than I have so far, but it is mine. It is the golden ticket. The lottery that I won paid off immediately: I am white in a country that treats this minor genetic condition like it is something one diligently worked for and earned. And I am male. I am heterosexual. This world and this country rewards the bearers of those accidental tickets pretty generously, too. When I was a child, my family was middle class in income if not status in a country and at a time when being in the middle of middle-class life in America meant one was living more comfortably than three-fifths of the residents of the rest of the world. And citizens in this country treat that privilege like a victory over immediate enemies rather than the several-generation accumulation of incidents that it is. Education? Paid for through high school by virtue of being born where I was. By which I do not mean the Spackenkill school district. Nor Poughkeepsie. Not even New York State. Being born in America in 1968 meant an education. (The states were not yet privatizing education or dictating their own local test-versions of education, so I benefited from learning when the dinosaurs existed and the one main reason for the Civil War.) Thanks to my parents, my mom especially, I do not remember the experience of learning how to read or count, because I was taught before my earliest memory (age two and a half) is time-stamped. Perhaps it is a bit of speculative science fiction to offer the idea that none of these matters are in and of themselves good, righteous, holy, or even earned things. I could have been born in a country that does not privilege the pink pigment of white skin. Or I could have been born in this country but not white. We could have lived in a country where money did not provide some piece of status and “our type” might have been punished at random moments. My mother was born and raised in America, but she had cousins in “the old country” (near Minsk) who were exterminated. They had money. So I know that I am racist, sexist, whatever-ist. By virtue of being born white, male, and middle class in America in the late 1960s, how could I not be? The day that I walk through (every damn day) is a different day than any woman, black person, gay person—any member of a minority group randomly pre-selected according to these criteria by society—walks through. And the sad, simple fact is that it is a luxury for me to even type that sentence or play with that thought. I do not need to consider what life is like for me, what my day is like, because no power group makes me aware of it. Oh, sure, it’s society’s rules and some people seem to know how to play by them. “If you don’t commit any crimes, what do you have to worry about?” And that is the thing: I don’t. Simply because I am guilty of white, guilty as charged of male. I am a born member of the power elite, me with my $11,000 annual disability income. Why does anyone march? Or protest? Or agitate? Or riot, finally? Because if you told me that I had “earned” the genetic anomaly that is taking my legs away, which I did not, not any more than I earned being white or heterosexual, I would attack you with my cane, with every fiber of my being. The Gad About Town is on Facebook! Subscribe today. Daily facts (well, trivia) about literature and history plus links to other writers. The WordPress Daily Prompt for April 4, 2015, asks, “Link to an item in the news you’ve been thinking about lately, and write the op-ed you’d like to see published on the topic.” Today is the 47th anniversary of the death of Dr. Martin Luther King, Jr.
Visit “Occupy Daily Prompt,” the DP Alternative. Daniel Defoe is officially credited as the author of 28 titles, but it is likely that he was the author of twice that, if one counts the pamphlets, essays, and other works he published under pseudonyms. Defoe did not attach his name to the book; after that long title a single line of type is set aside with a dark line above and one below and “Written by himself” between. Defoe was no castaway, although more than once in his life he might have desired a desert island life away from creditors and the crown. A dissenter, he was once put in the pillory and sent to Newgate Prison for writing a satirical pamphlet; a lifelong merchant who was sometimes on the unscrupulous side of unscrupulous deals, he spent time in debtors’ sanctuaries and on the run. He even died on the run, aged 70 or so. (His birth date, even the year, was not recorded.) He added the Francophilic “de” to his plain-sounding birth name of “Foe” to give himself a name redolent with upper-classiness. And he wrote what many consider the first novel in English. Sir Thomas Malory’s “Le Morte d’Arthur” was written and published more than two centuries before “Robinson Crusoe” and is a work of prose fiction that was popular enough to have been read by Defoe and his contemporaries, but its tales are interlocked, not interwoven. It is a collection of semi-separate tales. “Robinson Crusoe” is a first-person account of events that never happened to someone who never existed written by someone who was not that (fake) person. It is an adventure and it is a novel. By 1719, ships had been sailing between the Old World and the New for more than two centuries. The Caribbean was well-mapped, America was colonized by multiple countries, and the South Pacific was being explored, but the idea of a ship running aground on a previously unknown island was no mere fantasy: it was a reality and the story of a shipwrecked sailor long thought dead returning home would have been a familiar one to 18th Century readers. After his return to London, Selkirk was the subject of many books and gazetteer articles about his life alone far from home, but he quickly returned to his pre-maroon life of continuous bar fights interrupted by brief jail stays and took to the sea again, where he died of yellow fever in 1721. In 1966, the government of Chile renamed the island on which Selkirk had resided, Isla Más a Tierra, Robinson Crusoe Island and one of its companion islands, Isla Más Afuera, as Alejandro Selkirk Island. The imagined life of a solitary shipwrecked sailor, far from the madding crowd and free to read his Bible (as Selkirk said he spent his days), retains its hold on readers, almost three centuries after Defoe fictionalized what was already a remarkable tale. This is the 30th post for the month of November 2014 on this website. I have not written something every day, but there have been a couple two-a-days, one “in memoriam” poster, and some reruns (yesterday). All adding up to a very special 30-for-30 episode. In December, The Gad About Town will be one year old on WordPress. I started this in the fall of 2013, on another blog-hosting site, and there it still sits: The Gad About Town. I might have acquired readers beyond my immediate family and immediate friends as I proceeded with the website there, but readers other than my immediate family and immediate friends started to respond to this site right here right from the start, hitting “Like,” or subscribing, or commenting. I did not know what I did not know when I moved to WordPress: That my need for instant gratification, my addiction to numbers, would be met here. Anyway, it sometimes seemed that most of my page views on that service came from spam-generating sources (anything called “vampire” anything is not something that I feel happy about seeing visit my website fifty times in one short hour). In the month of November, this site has been visited 1677 times so far (by real people), at a rate of 57 visits each day. Neither of those are big numbers; I am certain that many of the blogs I read every day get thousands of visits per day. There were 38 new followers, which is a term that I have decided I do not like. “Subscribers,” okay; “followers”? No. There was one award from a fellow blogger, Aruna, who writes every day at Ripples N Reflections. A Facebook page was launched here: The Gad About Town. You can find me on Twitter over here: Mark Aldrich. There are some very supportive Twitterers who Tweet my columns to other Tweeting people. (That’s how that works, I think.) I also have Ello invites if you want one. All of these numbers have increased dramatically since I started participating in the Daily Prompt exercise in August. Before then, I was publishing once or twice a week and approximately one person (other than my mom or girlfriend) would hit the “Like” button each post. Thank you, Susanne Leist; she is the author of “The Dead Game,” and more than once seeing her face pop up on something that I wrote cajoled me into writing a next one. That is the effect a blogging community can have: We egg each other on. Here are some more thank yous: Judy at Lifelessons, my fellow spoonie Mary at A Body of Hope, Willow at Willow’s Corner, Leigh at Leigh’s Wordsmithery, Melissa at This, Right Now, Rebecca at Genusrosa, Dixie Copeland, The Reluctant Baptist, Lydia at A Lot from Lydia, Swoosieque at Cancer Isn’t Pink, Mark at Joatmon14, Rose Red at Gelatinous, Ina Vukic at Croatia, The War and the Future. There are other thank yous, but this list is some of the people who communicated with me in November. In December (wait! that’s tomorrow!) I will start playing around with a new layout and, more important, get my big book co-writing project moving towards the door marked “Publish.” Thank you to all the future purchasers of that future book. In most of her portraits, Sarah Josepha Buell Hale, the reason we celebrate Thanksgiving, looks stern. Gentle, but stern. She was an editor, but befitting a woman of her era, she employed the term, “editress.” From age 33 until her death at age 90, she wore black, to designate her as a widow in mourning from the day her husband died until the day she was to join him. Hale was the editor (“editress”) of Godey’s Lady’s Book, a pre-Civil War monthly magazine that sometimes topped 100,000 in circulation. She held the job for forty years, retiring in 1877 when she was almost 90. Her legacy as editor is a mixed one: she wrote and published articles in favor of advanced education and employment opportunities for women but her publication (and she) did not support women voting. Gentle, but stern; she was anti-slavery and pro-North and pro-Union (she was a New Englander) but anti-war. Her point of view was that women writers wrote for women and for children. Indeed, earlier in her career she wrote poetry for children, and one of her poems is a work so famous that it is surprising to learn that a human being wrote it: “Mary Had a Little Lamb.” Around that time, her portrait was painted by James Lambdin (no relation to Mary’s pet), an artist who painted two U.S. Presidents who were also among the first photographed. 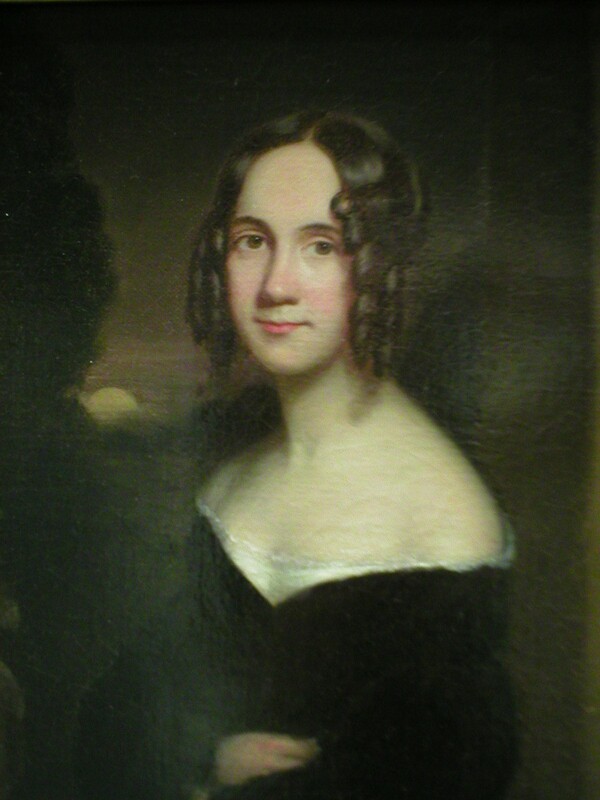 The verisimilitude of his portraits is borne out by the photos, so his portrait of young Sarah Hale, already in mourning black, must be true to life as well. Gentle, but serious. When the idea of a campaign for a national Thanksgiving holiday came to her, she became relentless about it and marshaled all her resources. She was already a successful fundraiser and had organized supporters to see the Bunker Hill Monument completed. She was one of the founders of Vassar College. As with those causes and campaigns, Hale knew that persistence would win, eventually. Thanksgiving days and harvest days are common around the world, but it was always a grab-bag and a movable feast in America. The Spanish settlers in St. Augustine, Florida, are believed to have held a celebration feast with the local Native Americans in September 1565. Up the coast, the first Pilgrim Thanksgiving in 1621, or later, was probably in September, also. During the Revolutionary War, the Continental Congress proclaimed several Thanksgiving Days, usually after a military victory, and various colonies created their own traditions. In some years, the first few presidents (but not Jefferson) issued national proclamations of a Thanksgiving day, but in some years they did not. Various states created their own traditions. Many of the states in the American South did not. 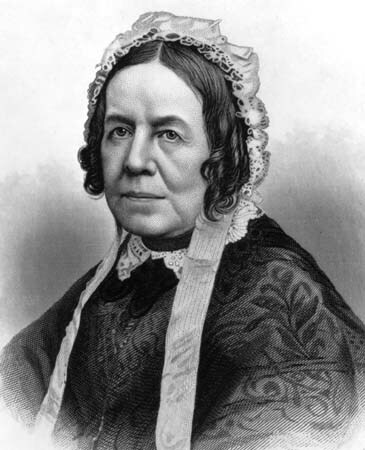 For two decades, Sarah Josepha Hale wrote letters advocating a national Thanksgiving Day. It is her work in this matter that gives us our annual tradition. Her letters reached five presidents: Taylor, Fillmore, Pierce, Buchanan, and Lincoln. (The letter to Lincoln is shown at top.) Finally Lincoln’s administration saw the brilliance of having a national day of thanksgiving: The Civil War was going to end sooner or later and the nation, north and south or only the north alone, was going to need unifying sentiments, a healing reminder of gratitude, even a new national holiday that was not of the north or the south in its mythology but newly created for the more strongly united United States of America. The first modern Thanksgiving was proclaimed for that year, 1863, and it has been a national holiday since. Hale was 74 years old. I am 46, so I have eaten a thing or two most of my born days, and I have even prepared a meal or a couple in order to live this long. One does not live to be 46 without some food here and there. And I was not left to forage in the woods beside our house when I was growing up; my mom is an excellent and health-conscious cook. Thanks to her early adoption of a low- and sometimes no-salt kitchen, my heart will probably continue beating long after the rest of me has permanently let all my subscriptions lapse. This is not to say that I do not remember eating or cooking; oh, I do. My cooking is not memorable, though, in either direction: tasty treat or sublime sludge. I almost envy the good writers who are bad cooks (not as much as I envy the non-writers who are good cooks) because at least something interesting comes from their culinary assaults on taste and decency. My worst work in the kitchen is memorable in how completely unmemorable it is. The problem is so is my best work. I do not even have many or any interesting kitchen mishap tales: I am a physically cautious person—I was cautious before my walking difficulties rendered me a unique danger with knives, pots of boiling water, or even a tray of sporks—so I do not have zany anecdotes about near-terrible, “Mom, the first thing you need to know is everyone’s safe,” kitchen survival stories. I have burned my hands exactly twice: once in a seventh grade Home Ec class when I forgot to put an oven mitt on my hand before removing a cooking tray of snickerdoodles from the oven, and the second time, eight seconds later, when I moved that same tray so it would not fall from the spot on which I had dropped it. I have not had a snickerdoodle in the thirty-plus years since. It isn’t their fault, those cute-named little flour-and-sugar bombs. But they know. So what I will bring to the Thanksgiving table tomorrow afternoon at my girlfriend’s family’s house is a deep appreciation for the work and love that went into preparing it all, and a big appetite: I haven’t eaten yet today. Many countries have thanksgiving days or harvest days or days of providence, often in the autumn. America’s is not unique, but it is uniquely American. During the Revolutionary War, the Continental Congress proclaimed several Thanksgiving Days, usually after a military victory, and various colonies created their own traditions. In some years, the first few presidents (not Jefferson) issued national proclamations of a Thanksgiving day and in some years they did not. Various states created their own traditions. Many of the states in the American South did not. That is how things stood until 1863. For two decades, a writer and editor named Sarah Josepha Hale wrote letters advocating a national Thanksgiving Day. It is her work in this matter that gives us our annual tradition. Hale would be famous regardless, as she wrote one poem that almost every English speaker knows: “Mary Had a Little Lamb.” Her letters reached five presidents, Taylor, Fillmore, Pierce, Buchanan, and Lincoln, and finally Lincoln’s administration saw the brilliance of having a national day of thanksgiving: The Civil War was going to end sooner or later and the nation, north and south or north alone, was going to need unifying sentiments, a healing reminder of gratitude, even a new national holiday that was not of the north or the south in its mythology but newly created for the more strongly united United States of America. The first modern Thanksgiving was proclaimed for that year, 1863, and it has been a national holiday since. I am grateful for the support and readership that has come into my life in 2014 (this blog is a little over a year old now); several of you write to me regularly and you always make me feel like my work here is something you have welcomed into your own lives and that stuns me whenever I think about it. 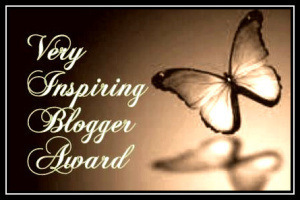 And thank you to Aruna of Ripples N Reflections for her “Very Inspiring Blogger” award. It is a Happy Thanksgiving at The Gad’s home, and it is because a few years ago I stopped trying to sort things out alone and asked for help. I hope it will be a happy and safe Thanksgiving for all the readers and fellow writers I met through this project so far in 2014. The only unsolved hijacking of an American plane took place on November 24, 1971. A person who may or may not have been named “Dan Cooper” hijacked a plane over the Pacific Northwest and demanded $200,000 and several parachutes. His demands were met, and he then demanded a flight toward Mexico City at a low altitude and slow rate of speed. About forty-five minutes into the flight toward Mexico, somewhere over Washington state, at night, during a rainstorm, the man jumped. He and most of the money have not been found. The case remains an unsolved mystery. Because of a news media error, his name was reported as “D.B. Cooper,” and so the daring unknown hijacker has remained known by that mistaken moniker. In 2007, an FBI Special Agent named Larry Carr opened the case files to the public to regenerate interest in the cold case and develop any new leads, if any could be developed almost four decades later. With no government funding, a team of investigators, called “Citizen Sleuths,” donated time and effort to study the case for three years and concluded nothing concrete but outlined the dozen or so most important lines of inquiry and debate. Forty-three years on, the Cooper skyjacking remains unique in American crime annals. 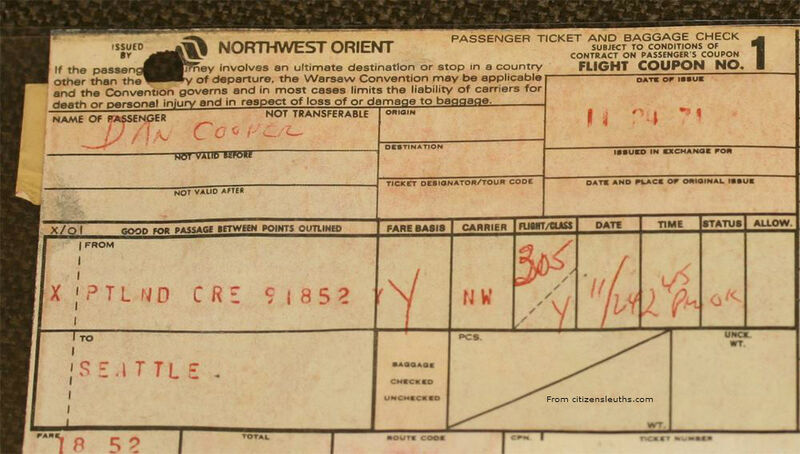 On Thanksgiving Eve, 1971, a man bought a one-way airline ticket from Portland to Seattle. In that pre-TSA era, no photo ID was copied and the passenger simply gave his name and the ticket sales clerk wrote it down: “Dan Cooper.” It was a twenty-dollar ticket and he paid cash. He boarded the plane, a Boeing 727. There were about forty people on board, passengers, crew, and Dan Cooper. He was wearing a dark suit, loafers, and a light, businessman’s raincoat. He carried a briefcase. Cooper lit a cigarette, ordered a drink, and handed a note to the stewardess. She took it, but did not read it immediately. He got her attention again and bade her to read the note, which stated that he had a bomb and was hijacking the plane. He showed her the inside of his briefcase, and it had wires and looked like a bomb. The stewardess conveyed the message to the pilot and he contacted the ground. In 1971, airline hijackings were surprisingly frequent: several dozen took place each year and the federal Sky Marshal program was brand-new. After the Cooper incident, passengers and their parcels began to be scrutinized regularly. Hijackings became a thing of the past until a later, more famous incident a few decades later. The airline ordered that his demands be met. The demands: $200,000 in “negotiable American currency,” four parachutes, and that the plane be refueled in Seattle. None of the members of the crew who dealt with the man reported that he had a foreign accent, but “negotiable American currency” has perplexed everyone who has investigated the story. Who says that? Foreign or not, he was polite. He remained in his seat, ordered and consumed a second drink, paid his tab, and offered to buy meals for the crew when they landed, for their trouble. On the ground, the money was delivered, the other passengers released, the nonessential crew released. Ten-thousand twenty-dollar bills had been assembled in several bundles of 100 bills each inside a knapsack, but each bill had been photographed, too. The plane was refueled and took off on a route towards Mexico City, the hijacker’s stated destination. But he also had requested parachutes and that the plane be flown at the lowest altitude and slowest speed to maintain flight; he also wanted the cabin depressurized. He was to be left alone in the cabin and the aft stairs (at the back) were to be left down. (Since the Cooper incident, most commercial jets no longer have a aft set of stairs.) Told that such a configuration would be difficult to fly, he replied that he knew it would be safe, but would allow the flight to take off with the staircase in a stowed position. He would figure out how to open it himself. About twenty minutes into the second flight, the crew detected a whoosh of air: the aft door had been opened. When they radioed to him to offer assistance, he refused any help, and that is the last anyone ever heard from the hijacker. Several minutes later, the tail of the plane bounced, indicating that he had jumped. It was night, it was November, and it was raining. The air temperature outside the plane at its low flying altitude has been estimated as a −70°F wind chill. The hijacker did not change clothes from his dark suit, raincoat, and loafers, but he did take off his tie and leave it on the plane. So a man in dress-casual attire jumped from a 727 at night from 10,000 feet over a lot of forest. In that pre-GPS world, it is not known what land the plane was over when he jumped or when he pulled the ripcord, if he did. The plane, which was being trailed by military jets—but not for the entire trip, and not at this precise moment—landed in Reno. The search started immediately, and in its own way, continues. The flight route has been scoured thoroughly, both on land and in the bodies of water he might have fallen into. Only two items have been found to date, and both were found years after the incident: the plane’s instruction card for lowering the back stairs, and a small portion (290 bills) of the money. None of the serial numbers have ever turned up in currency, so the money has not yet been spent. No one, not in Canada or America, neither a family nor an employer, reported a missing person in that time period who matched or came close to the description. Anything written about the hijacker’s life before the incident is speculation, even if it is from detailed forensic analysis. For instance, it is now understood that his tie had DNA evidence on it and also bore minute particles of pure titanium, which is as curious as that sounds. Several bundles of the cash turned up in 1980, but not quite where Cooper might have landed; they were heavily weathered, but still in rubber bands, which should have deteriorated between 1971 and 1980. Further, the area had been searched previously, and the bundles had not been found at that time. They were not complete bundles, either, as one was missing ten bills, but not from the top or bottom, the outside of the bundles. The missing bills were missing from the inside. If Cooper was killed in the jump, nothing has turned up—no body, no items of clothing, no bones, and none of the money—in terrain that would not thoroughly absorb a human being’s existence. Except it did. Whoever D.B. Cooper was, he probably never knew that he became an outlaw folk hero. Many novels, songs, movies and TV show episodes have offered fantasies about the case and about the outlaw who got away. In the TV show “Twin Peaks,” Kyle MacLachlan’s FBI agent character is named Dale Bartholomew Cooper, and the show is set in the Pacific Northwest. No characters comment on this, but when you think about it, it is as if Agent Cooper “parachuted into” the community. For Cooper Sleuths, keep an eye out for a suspect from Canada, with military experience in airplanes. He would have come to this country to work in or around titanium metal fabrication. He was a gentleman, well dressed and smoked cigarettes. He was not the type to shy away from medication and knew his way around machinery, as well as the woods. Most notably, he probably lived a normal life and had one big problem that required about 200K in cash to solve.